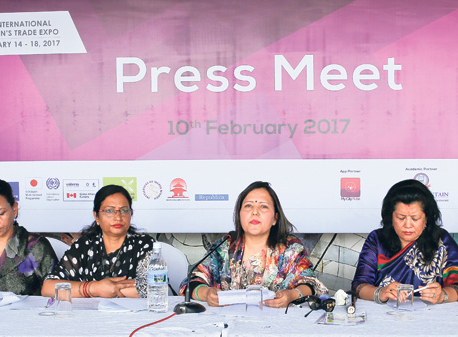 KATHMANDU, Feb 14: The 2nd International Women's Trade Expo kicked off at the Army Officers Club in Kathmandu on Tuesday. 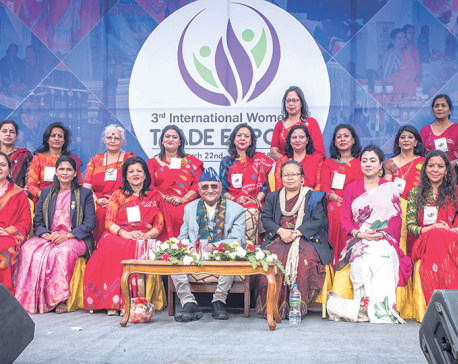 Vice President Nanda Bahadur Pun inaugurated the five-day expo that is being organized by Federation of Women's Entrepreneurs of Nepal (FWEAN). The main objective of the expo is to encourage women entrepreneurship and promote their products in domestic as well as international market. Speaking at the inauguration ceremony, Vice President Pun said that participation of women entrepreneurs in every sector of the economy is a most for country's prosperity and development. “I will request the government to address woes of women entrepreneurs. It will be very difficult to achieve prosperity unless the government addresses all problems of women entrepreneurs,” Pun added. Rana also said that FWEAN will work to encourage and promote women entrepreneurs. “We will organize similar expos every year to promote products of women entrepreneurs,” she said, requesting the government to implement the President Women's Fund at the earliest. FWEAN is organizing the expo in partnership with Trade and Export Promotion Centre (TEPC), International Labor Organization (ILO) and CECI Uniteria. On the occasion, FWEAN also felicitated women entrepreneurs Indira Sapkota and Bina Kumari Sharma in recognition of their contribution to promote women entrepreneurship. 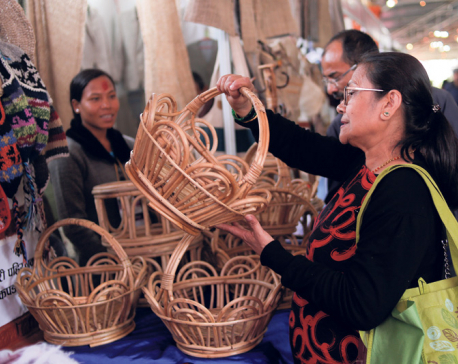 The expo has more than 100 stalls showcasing products from countries like Bangladesh, Afghanistan, India, the Philippines and South Korea, among others. FWEAN has provided stalls free of cost to differently-abled people. The organizers are expecting transactions of around Rs 50 million and 100,000 footfalls. Entry fee has been fixed at Rs 50.